Built along steep ridge lines, Mt. Built along steep ridge lines, Mt. Bukhansan Fortress dates back to the early days of the Three Kindoms Period, but the mountain fortress the we see today was built in 1711 by King Sukjong during the Choson Dynasty. 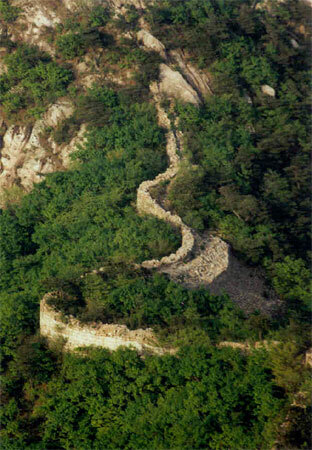 The government had decided that it must build a mountain fortress near Seoul in order to better defend against foreign invasions, such as the Japanese and Manchurian invasions of previous century. It took only six months to construct the fortress by replying heavily on the steepness of the mountains. The length of the fortress walls was about ten kilometers. A palace, storehouses, and other military facilities were located inside the fortress, including three command posts, none of which now exists. The fortress also featured wells and water reservoirs for emergency use. 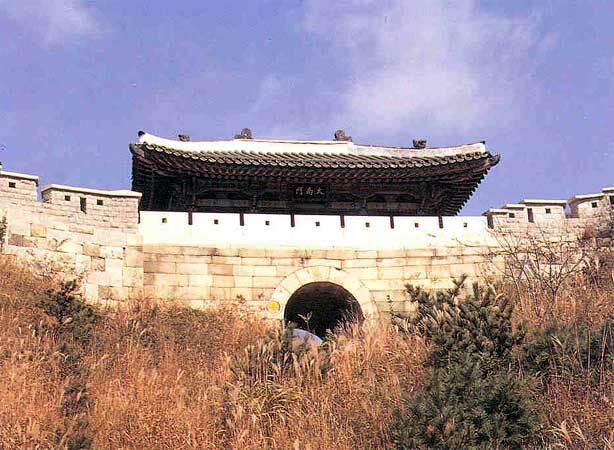 It also featured ten temples and two hermitages for use by Korea's renowned priest-soldiers. Five of these temples still exist: Whohyo-am, Sangun-sa, Taego-sa, Kuknyuong-sa and Bongsong-sa. Fourteen gates were built in the wall; four of them included towers Nowadays only two gates have been reconstructed. "Taeso-min", the main gate, was reconstructed after the Korean war. "Taedong-min" and "Taenam-min" were reconstructed recentiy. Unfortunately, Pukansansong was so severdly damaged that none the 143 guardposts along the wall has survived. Urgent action is required to preserve what remains.